Founder Ashley Jones left Mahurangi in 2003 as a qualified (and much younger!) electrician and returned some years later with insights into the energy sector from France, Britain, Australia and Samoa. 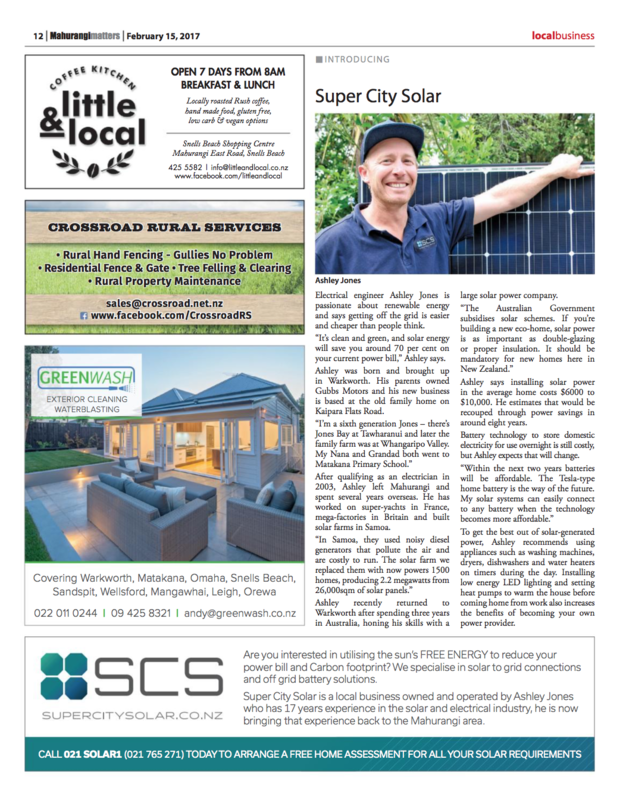 Ashley returned to his home town of Warkworth, now the base of Super City Solar, servicing Auckland, Rodney, and Northland districts. The team still takes the odd job overseas, we suspect when they need to tie it in with an island getaway.